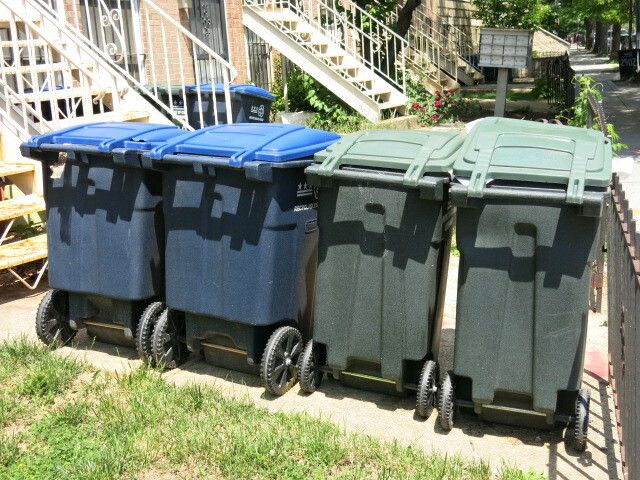 “Hot weather began early this year and that means the DC Department of Public Works trash and recycling crews will begin their collections an hour earlier, at 6 am, when temperatures are predicted to be 90° or more Tuesday, May 26-Saturday, May 30. DPW will observe Memorial Day, Monday, May 25; therefore, collections will “slide” to the next day. Residents may put their trash and recyclables out for pick-up starting at 6:30 pm the day before their collections. Trash and recycling containers should be removed from public space by 8 pm on the collection day or a sanitation citation may be issued.